The Speaker of the provincial Legislature Daryl Plecas has released a scathing report exposing allegations about spending by the Clerk of the Legislature Craig James. James was appointed to his position amid much controversy by the Christy Clark BC Liberal government. 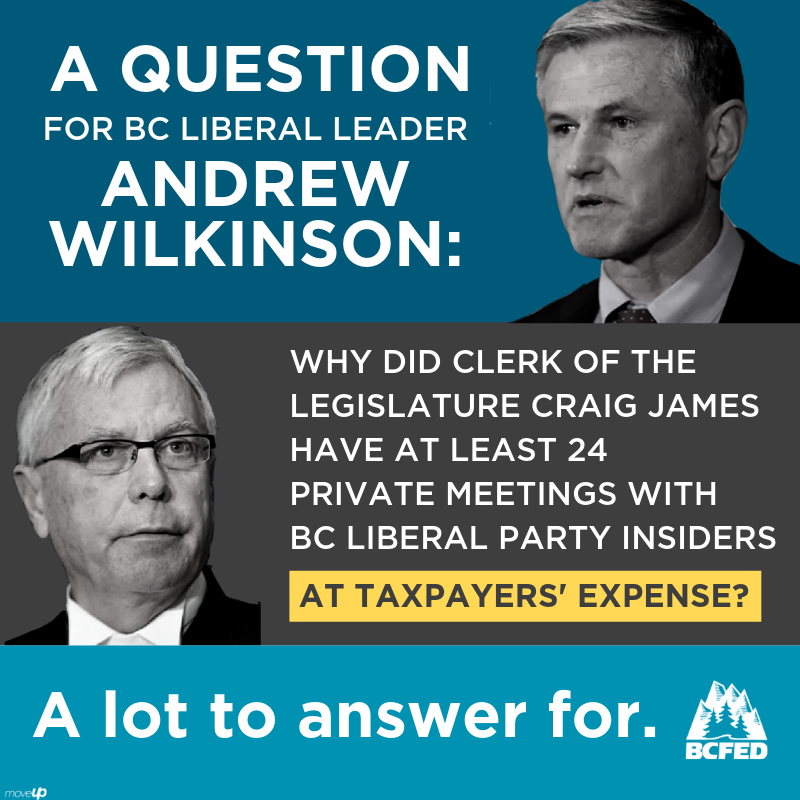 The Plecas report revealed that James had at least 24 meetings at taxpayers’ expense with BC Liberal Party insiders including many after the Liberals lost power in 2017. The BC Federation of Labour says Liberal leader Andrew Wilkinson has a lot to answer for.